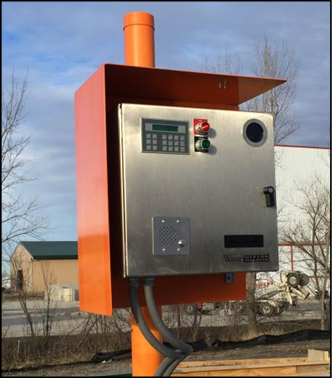 Metro Waste Authority, a long-time WasteWORKS customer in central Iowa, has just completed construction of a brand new, state-of-the-art transfer station. With three scale lanes outfitted with WasteWIZARD automation, the Metro Northwest Transfer Station is ready to enhance the Authority’s already impressive service. Metro Waste Authority is located in Des Moines, IA and is comprised of 16 member communities, one county and six planning members. Metro Waste was established in 1969 and now operates numerous sites around the Metro area. This includes landfills, transfer stations, a compost facility, a household hazardous waste facility, and recycling programs. The folks at Metro Waste have always taken a proactive approach when it comes to technology and providing high quality service to their customers. The construction of the new Metro Northwest Transfer Station (located in Grimes, IA) is not only an example of their dedication to quality service, but also their commitment to providing this service far into the future. As the name suggests, the new transfer station will provide garbage transfer service for the areas on the west and northwest side of the Metro area. This quickly expanding part of the Metro area is just out of reasonable driving range for garbage trucks headed to the landfill (up to 55 miles roundtrip), so a conveniently located transfer station will save time, money and greenhouse gas emissions— a win, win, win situation. 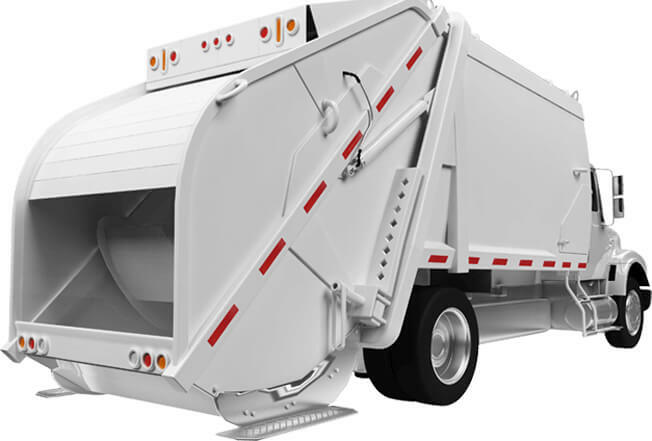 One semitrailer has the capacity to handle 3.5 garbage trucks of waste. This means less traffic and certainly less wear and tear on the garbage trucks. Metro Waste’s award winning operations is their dedication to serving their community. And part of serving the community is keeping them informed about the services you provide. Even though the new transfer station won’t be open to the public, opening a new waste facility always comes with questions about environmental impacts and costs. Metro Waste’s website has always been a great source of information and they’ve leveraged this resource to provide a range of useful information about the new transfer station. From information about design and cost, to fact sheets about how transfer stations work and why their needed, they’ve taken a proactive approach and they clearly recognize who they work for. T he Metro Northwest Transfer Station is not open to the public, so the weighmaster duties will be handled by the WasteWIZARD automation system. Each of the three scale lanes (two in and one out) will feature two WasteWIZARD kiosks to handle both right side and left side driven vehicles. The combination of intuitive facility design and a comprehensive automation strategy ensures efficient transaction processing and equally efficient traffic flow.